Is home warranty essential for both buyers and sellers? 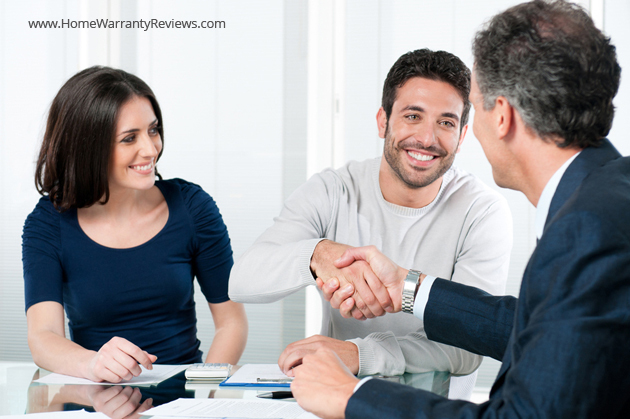 Home » Home Buyers » Is Home Warranty Essential for Buyers and Sellers? In general home warranty covers up the service on repair and replacement cost on insured home appliances. If a policy covered equipment breakdowns due to wear and tear, an insurance agency pays for its maintenance. Houses offered with a comprehensive home warranty plan will obviously sell quicker with a better price than those without. Sounds like a great deal, yes it is and it certainly can be. As a seller you are in a competition with many other sellers in the market with the very similar houses and price range. Offering a home warranty may work as bonus attraction to the buyers. What is seller’s home warranty? Seller home warranty insures on certain aspects of a property. While coverage period varies, generally covers for a period of 1 year. The purchaser could then renew the policy at the end of every year. This could be a bargaining tool for the seller. What covers in the policy? That differs, basic plan would cover home appliances like refrigerator, washer/dryer, bathtub, plumbing systems, electrical systems, ceiling fans, water heaters and garage door opener. If you want to add-on equipment, then you will have to go for an extra coverage. So how much does a home warranty cost? Basically the cost depends on the company you decide, the devices to be covered and the amount of insured time. The basic home warranties are available at about $400 annual premium, with a deductible per repair that ranges from $50 to $80. Home warranty companies sometimes offer special sales, discount policy prices or offer additional coverage for the same price which can be considered as extra benefit. The overall idea is the same; to help save some money and give the buyer quick repairs and thus sellers home warranty, is a good buyer incentive to purchase house. Is home warranty buyer’s best bet? Before closing the deal home buyers will give attention on their home warranty. Since the contract can cover on multiple items, it is always better to go through the sample copy of policy before you commit the sale. If you are a first-time buyer then it is a really good idea to get home warranty since you have no experience in maintaining your home equipments. Who pays for the home warranty insurance? Now the very next question arises is who pays for Home Protection Plan? Whether the seller or the buyer pays for the policy. It depends, seller normally pay for the coverage since it adds-on seller’s benefit to close the sale and buyer will not disturb the seller if any equipment goes wrong. Buyer could renew the policy in future with add-on equipment with extra coverage if necessary. Although specific plans provide for specific types of coverage, most operate the same way. If a home system or appliance breaks or stops working, the home owner needs to call to the home warranty company. Then the home warranty company calls a provider with which it has a business arrangement. Continuing to it the specific provider calls the home owner to make an appointment. In return the home owner pays a small trade service fee (less than $100). There are several benefits of home warranty. Home protection policy is surely not an added expense but it is a sort of investment for safety. Even if you spend extra expense on this, you can certainly be assured of the long term benefits, since you are already saved from paying the repairs or replacements expenses. Watch this video to know some research facts on Home Warranty. Prev Post:Is it worth buying a home warranty?